There are several women who were considered Holy Transvestites. Of this group there are three more well known women who will be the focus of this section. Though these women were called “transvestites,” they weren’t what people today would consider transvestites. 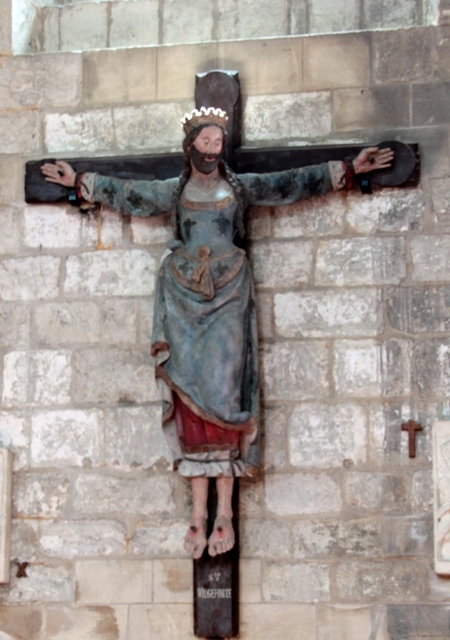 They were essentially cross-dressers, except for Wilgefortis who actually ended up growing a beard. These women all chose these lifestyles to escape from being forced into marriages that would ruin the vows they made to God. In Wilgefortis’s story, she prays to God to disfigure her body so she can keep her vows to stay pure and chaste and get out of a marriage to a pagan prince. God then had a beard grow on her chin. Her “fiance” was disgusted by her appearance and called the proposal off. Her father was so angry and disgraced by her new facial hair and the loss of her proposal that he had her crucified on the cross. 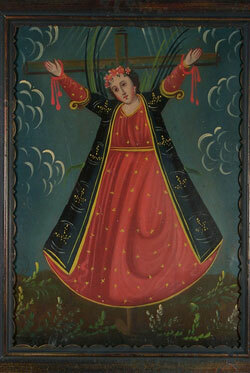 Of the many Holy Transvestites, Wilgefortis’ transformation was the most extreme. 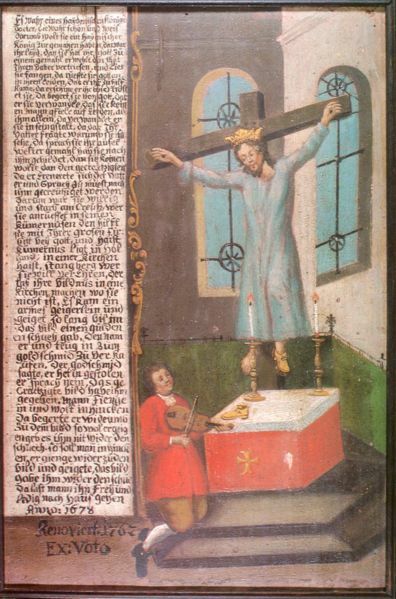 In the picture above there is a fiddler playing in front of Wilgefortis’ crucified body. This fiddler was given one of her golden boots by Wilgefortis. The fiddler was then put to death because people thought he stole the boot. He had one last request, which was to play for Wilgefortis once more. He was able to play for her and in front of a crowd. After his performance, Wilgefortis gave him her other boot which proved that he was innocent. Eugenia was the daughter of the Duke of Alexandria and governor of Egypt. 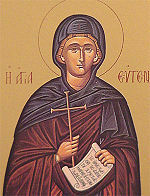 She fled from home in men’s clothing and was baptized by the bishop of Heliopolis. She continued to pretend to be a man and soon became an abbot. 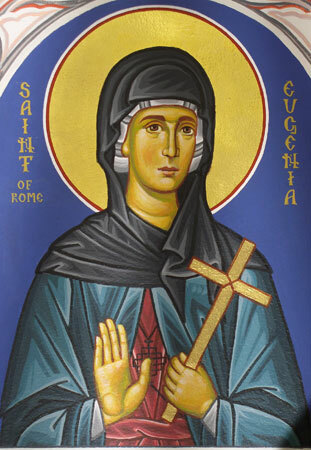 During her time as an abbot there was a woman that Eugenia cured from a sickness who ended up lusting after her. 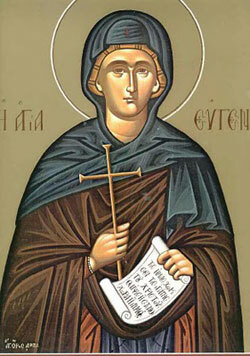 She thought that Eugenia was a man since she was still dressed as a monk. She resisted the woman’s advances and told her no; in turn the woman accused her of adultery and Eugenia was taken to court. She was still dressed as a man and in court she was forced to appear in front of her father. In court she ended up revealing her true identity and was cleared of the charges. 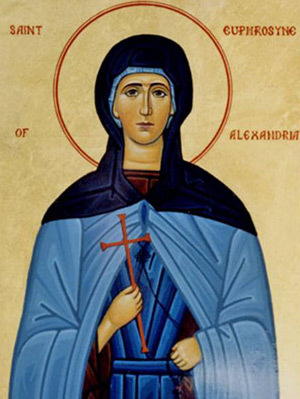 Her father even converted to Catholicism and became the Bishop of Alexandria. 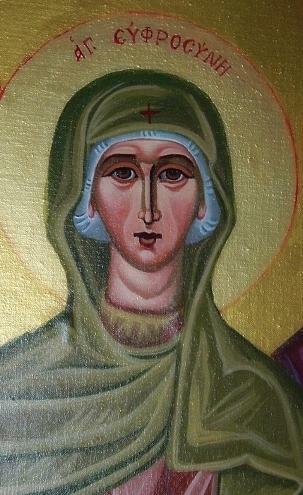 Eugenia went on to convert a lot more people, but was beheaded on Christmas Day. Euphrosyne was also from Alexandria and her father, Paphnutius, was a wealthy man. She left home due to her father wanting her to marry a wealthy man and for the fact that she had already promised herself to God. She dressed up as a man and even took on the name Smaragdus to avoid being found out. She joined a monastery with nothing but men and was there for a very long time. Later on in life, she was becoming popular for leading such an abstinent life so that the abbot of the monastery took notice. 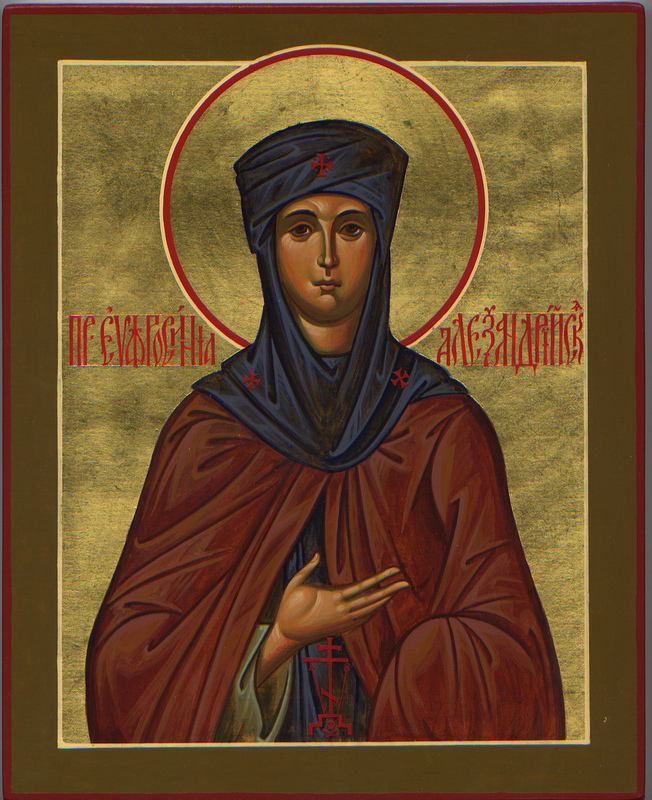 When Paphnutius went to the abbot of Euphrosyne’s monastery looking for comfort, the abbot introduced him to Smaragdus. Smaragdus (Euphrosyne) gave him the advice he needed and wasn’t found out. Euphrosyne finally revealed to her father that she was in disguise as Smaragdus, but only told him when she was dying. After she died, her father ended up joining the monastery. Ott, Michael. 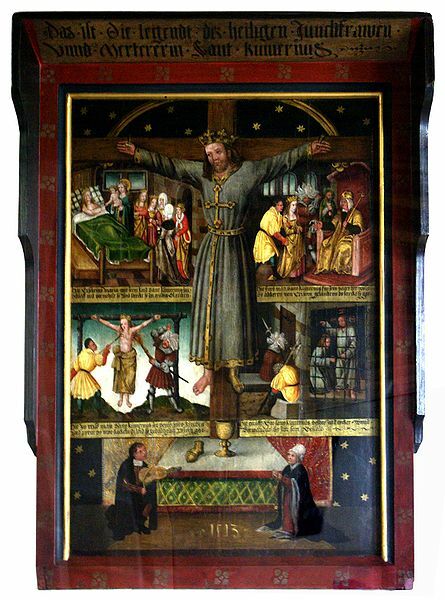 “Wilgefortis.” The Catholic Encyclopedia. Vol. 15. New York: Robert Appleton Company, 1912. 21 Apr. 2014 http://www.newadvent.org/cathen/15622a.htm. Kirsch, Johann Peter. “St. Euphrosyne.” The Catholic Encyclopedia. Vol. 5. New York: Robert Appleton Company,1909. 21 Apr. 2014 http://www.newadvent.org/cathen/05606c.htm. 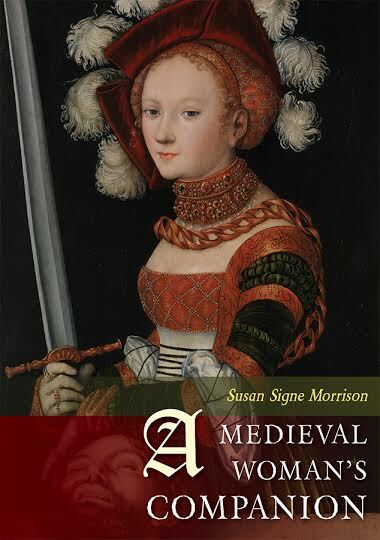 Women Saints’ Lives in Old English Prose. Leslie A. Donovan, trans. Woodbridge: D. S. Brewer, 1999. ISBN-10: 0859915689; ISBN-13: 978-0859915687.